Updated Monday April 8, 2019 by Terryville Soccer Club. 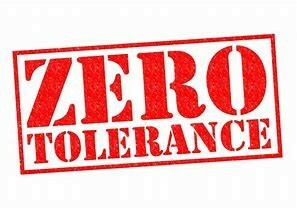 To help prevent physical assault and verbal abuse during sanctioned events the Terryville Soccer Club along with Long Island Junior Soccer League (LIJSL), has adopted a ZERO TOLERANCE POLICY. This policy applies to all coaches, players, parents, spectators and other supporters and referees effective immediately for ALL of it's Intramural & Travel games on ALL fields were games and practices are held. Abusive and obscene language, violent play/conduct, fighting and other behavior (including, but not limited to sarcasm, taunting, etc.) deemed detrimental to the game will not be tolerated. The ultimate responsibility for the actions of coaches, players and spectators resides with the each member of the Terryville Soccer Club. It is the responsibility of the coaches to provide referee support and spectator control. This policy applies before, during and after all events at the soccer field and its immediate surrounding areas. Remember; the referee does not have to show a yellow card before showing a red card. No parent or spectator shall address the referee or assistant referees at any time. Parents and spectators shall not dispute calls during or after the game. Parents and spectators shall not make remarks to the referee(s) or advise the referee(s) to watch certain players or attend to rough play. Parents and spectators shall never yell at the referee(s), including criticism, sarcasm, harassment, intimidation or feedback of any kind before, during or after the game. Additionally, parents and spectators shall not make derogatory comments to players, spectators or coaches of either team. Any club member visiting a Terryville Soccer Club field will be subject to a hearing by the Terryville Soccer Club Executive Board for behavior which is in direct conflict with the ZERO TOLERANCE POLICY. The referee may issue a verbal warning to the coach of offending party’s team. The referee may stop the game and instruct the coaches to direct the parent /spectator to leave the field. It is the responsibility of all coaches to maintain the highest standards of conduct for themselves, their players and supporters in all matches. Failure to do so undermines the referee’s authority and the integrity of the game resulting in a hostile environment for players, the referee(s), coaches, assistant coaches, trainers and parents/spectators. As role models for all of the participants and spectators, coaches participating in a Terryville Soccer Club, LIJSL, ENYYSA or USYSA sanctioned event are expected to be supportive of, and to acknowledge the effort, good play and sportsmanship on the part of ALL players from either team in a game. By example, coaches, assistant coaches and trainers are expected to show that although they are competing in a game, they have respect for their opponent, referees and spectators at all times. Terryville Soccer Club will not tolerate negative behavior exhibited either by demonstrative actions and gestures, or by ill-intentioned remarks, including those addressed toward the referees or members of an opposing team. Coaches exhibiting hostile, negative, sarcastic or otherwise ill-intended behavior toward referees, opposing players or coaches will be subject to disciplinary action by Terryville Soccer Club Executive Board.